College is a rather challenging time in our lives. Between classes, homework, exams, friends, and sleeping, there’s not much time left, if any. As a result, health tends to be put on the back burner for many college students. 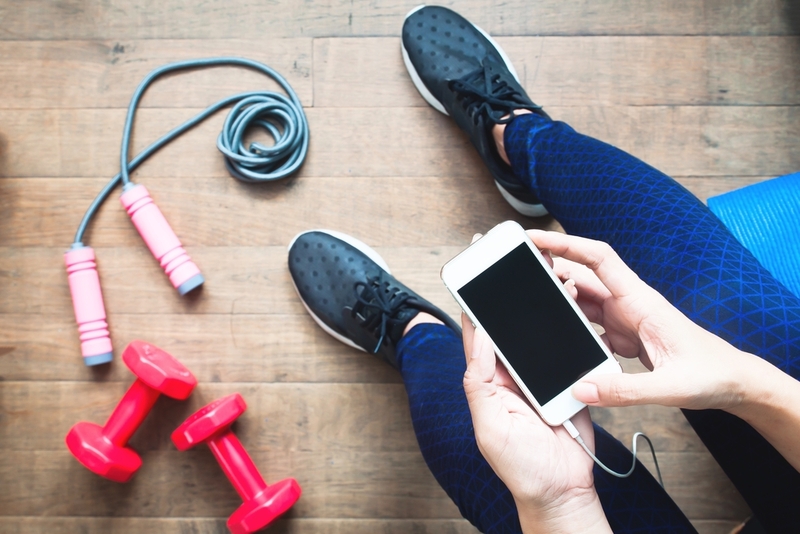 It’s understandable that getting a workout in before class wouldn’t be your top priority when you have essays to write, but let us explain why it should be. As you probably know, health is a crucial part of everyone’s lives. If a person isn’t healthy, they will not feel well for the most part – both physically and mentally. Not taking care of your body can result in many negative effects. Fatigue, weight gain, and trouble focusing, among many other things. So, to help you feel and do your best in college, we’ve rounded up a few great ways to maintain a healthy lifestyle while studying and avoid the notorious freshman 15. Instead of reaching for a packet of Oreos while you’re studying for an exam, opt for something good for you instead. Keep healthy snacks on hand so you don’t get tempted to eat junk food. It’s obvious that eating healthy is a huge part of staying healthy overall, but it can get difficult when you don’t have anything quick and easy to eat nearby other than cookies and chips. We know that the words ‘healthy snack’ sound somewhat unappetizing, but there are plenty of delicious options. From nuts to hummus and veggies to apples and peanut butter to homemade energy bites, there are endless recipes online you can find. Not only that, but they’re easy to make in no time at all. Getting into this habit will help you get the energy you need for studying without the sugar crash later on. Getting enough sleep is another significant part of maintaining your health. Without sleep, your body simply can’t function properly. Aim for at least 7 hours a night. All the same, living in a dorm can present many problems leading to trouble sleeping, like too loud noise late at night and roommates who turn on lights. To solve these issues, you can use earplugs and an eye mask. Make sure to manage your time so you have the hours to sleep. Because it actually does. This might be obvious, but it’s important all the same. Make sure you’re drinking enough water every day. Try to cut down on soda if you can. For a boost of energy, opt for tea or coffee. Just be sure not to drink any caffeinated drinks later in the day as it interferes with sleep. This is another obvious one, but exercise is a must, especially when you’re stressed. Exercise is a great stress reliever, plus it’ll help your mental and physical health. If you have a gym on campus, take advantage of it! Even 20 minutes a day can make a world of difference in your mood and overall feeling. If you don’t have a gym, don’t worry. You can walk to classes, run outside, or look up workouts you can do in the comfort of your dorm room! Whichever you go with, every little bit counts! The post The Best Ways To Stay Healthy In College appeared first on Cleverst. When I'm touched by the hand of god. A Harpy eagles talon compared to a human hand!